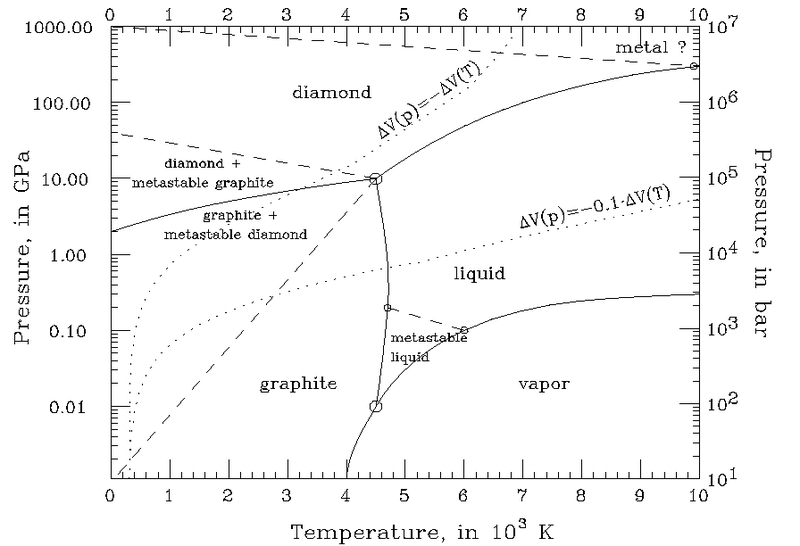 This phase diagram should be of interested inhow to make a diamond using temperature and pressure. Diagram from Jan M. Zazula, LHC project note 78/97, Jan 1997. Superman can reach the pressure and temperature needed to make a diamond by compressing coal in his hand, and heating using lasers from his eyes. You have maqde a mistake to recognise him. He is actually SUPER-TAMAL.